Many international students choose to go to the United States to do their Master's in Management studies or pursue other specialized business master's programs. And why not? The United States is the world's biggest economy, where English is the primary language. And perhaps most importantly, a number of world-class business schools offer Master's in Management (MiM) degrees, as well as other business master's degrees in disciplines like Finance, Supply Chain, Business Analytics, and more. Where in the US do students go to study for their business master's programs? 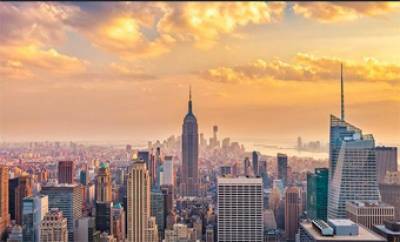 New York City—one of the world's finance centers—is a solid choice. Other students go to California, to media capital Los Angeles or tech-savvy San Francisco. Yet other international MiM students study in other big cities like Chicago or Houston. However, the United States' business schools can be found literally all across the country, so students can do their business master's studies in a huge variety of locations. Some US-bound Master's in Management students use the experience to transition to working in the country after graduation. For these graduates, the country hosts a range of strong sectors, including financial services, retail, manufacturing, and more. See below for a list of Master's in Management programs in the US.